This courtesy door light projects the logo onto the external floor. No drilling necessary. This unit fits directly to the lower section of the door and is wired into the existing interior lighting harness. 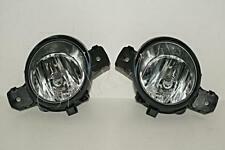 2pcs coche puerta LED proyector de luz Laser para Nissan Sylphy Murano antiguo Teana GT-R. Para Nissan SYLPHY 2006-2009. Para Nissan viejo Teana 2004-2007. Para Nissan Murano 2011-2013. Para Nissan NISSAN GT-R 2009-2015. Bulb Type::H9. You'll have the part ASAP. 12 months warranty on all orders. We just want you and your car to be happy! We will always attempt to rectify the issue as fast as possible! With this in mind, we will indicate what type of product you are looking at within the following guidelines. 12 months warranty on all orders. We just want you and your car to be happy! We will always attempt to rectify the issue as fast as possible! Eg, Vetech, Erst Klassig, Franzen, NK, etc. With this in mind, we will indicate what type of product you are looking at within the following guidelines. With this in mind, we will indicate what type of product you are looking at within the following guidelines. Eg, Vetech, Erst Klassig, Franzen, NK, etc. Branches Nationwide. We will always attempt to rectify the issue as fast as possible! Bulb Type::H11. You'll have the part ASAP. 12 months warranty on all orders. We just want you and your car to be happy! We will always attempt to rectify the issue as fast as possible! With this in mind, we will indicate what type of product you are looking at within the following guidelines. Bulb Type::WY21W. Eg, Vetech, Erst Klassig, Franzen, NK, etc. We will always attempt to rectify the issue as fast as possible! 12 months warranty on all orders. With this in mind, we will indicate what type of product you are looking at within the following guidelines. 2 PCS F ront Fog L ights Lamp C over T rim for Nissan Teana Altima 2013-2015 Parts. Suitable for Nissan Teana Altima 2013-2015. 2 Front Fog Lamp Cover Trim. Note: The real color of the item may be slightly different from the pictures shown on website caused by many factors such as brightness of your monitor and light brightness. Suitable for Nissan Teana Altima 2013-2015. 2 Front Fog Lamp Cover Trim. Note: The real color of the item may be slightly different from the pictures shown on website caused by many factors such as brightness of your monitor and light brightness. Teana MK2 2008-2013. Patrol MK6 2011-2018. 3D Laser light of illuminated entry system. This unit fits directly to the lower section of the front door and is wired into the interior lighting circuit, it is operated when the door is opened, very simple and effective. Rückleuchte Heckleuchte. nissan teana II (j32). (links - auf der Fahrerseite; rechts auf der Beifahrerseite). Wichtig vor dem Kauf! Weitere Informationen. Rückleuchte Heckleuchte. nissan teana II (j32). (links - auf der Fahrerseite; rechts auf der Beifahrerseite). Wichtig vor dem Kauf! ohne Glühbirne. Weitere Informationen. With reverse polarity protection and open circuit protection for extra safety. Material: ABS housing Imported LED beads(LED). Light Source: LED. Novel dual-color design: white light yellow light. Light Color: White/Yellow. Nissan Qashqai 03/2007-01/2010. Renault Espace IV 09/2002-02/2006. Renault Espace IV 03/2006-. Renault Vel Satis 01/2002-01/2005. Renault Vel Satis 02/2005-. Renault Thalia 01/2001-. Renault Clio II 04/2001-11/2008. · NISSAN TEANA 2008-2009. Rear Spoiler Wing. · Adopt high-precision molds and high-quality ABS material. Grab Rails. · 100% Waterproof and Shock Resistant,Reverse Polarity Protection and Open Circuit Protection. With reverse polarity protection and open circuit protection for extra safety. Novel dual-color design: white light yellow light. Material: ABS housing Imported LED beads(LED). Light Source: LED. Color Temperature: White (6000 K), Yellow(3500K). TEANA 2003~2008 (MODE : J31). Cefiro 2003~2008 (MODE : J31). TEANA 2009~ (MODE : J32). Maxima 2003~2008 (MODE : J31). Lower power consumption,long service life, super brightness LED bead. Adopt top LED chip, better heat dissipation,higher brightness,longer service life. This is really important, you need to double check the picture and make sure that your car’s factory fog lamp shape is 100% identical to our pictures. This model is only suitable For Nissan Teana 2011~2012. Einbau Schäden, haftet EADE nicht. Led Kennzeichenbeleuchtung. Niedrigster Preis mit vollwertigen Autoteile. Nissan Teana (Typ J31) - alle Modelle Bj. Nissan Teana (Typ J32) - alle Modelle Bj. Farbe: Xenon weiss. 2003 Nissan Teana (J31, J32). 2005-11 Nissan Tiida C11. 2013 Nissan Sentra B17. 2008 Nissan Sylphy (G11, B17). Direct Replace For Nissan / Infiniti Original OEM Manufacturer Part Numbers 6000K xenon HID white color light. 1,The real color of the item may be slightly different from the pictures shown on website caused by many factors such as brightness of your monitor and light brightness. Over heating protection device to prevent over heating and burn.